While Mursi is now tackling the difficult task of juggling affairs concerning the SCAF and international powers, Egypt’s poor are wondering if they will yet again be forgotten. Ordinary Egyptians do not expect the future to differ much from the past with the arrival of a new president. That seems to be the prevalent attitude among Egypt’s urban poor and residents of its teeming working-class districts and shanty towns. 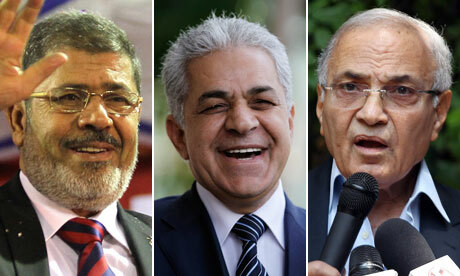 Their accumulated impressions of the two candidates in the presidential run-off – the military’s candidate Ahmad Shafiq and Mohammed Mursi of the Muslim Brotherhood – appear to have prevented them from supporting either in large numbers. Egypt’s poor suffered badly under the three-decade rule of Hosni Mubarak, who Shafiq described as his “highest example.” His regime treated them as an undesirable burden at best, or simply neglected them. Few were therefore rooting for Shafiq, despite his campaign promises to maintain fuel and bread subsidies, provide benefits to the unemployed, extend medical insurance to everyone, double the Health Ministry’s budget, and set a minimum wage. He also said he would build new towns to house the poor, increase the provision of clean drinking water, and write off small farmers’ debts. People did not believe Shafiq because they had frequently heard similar pledges from his role-model, Mubarak. But neither did poor Egyptians greet the news of Mursi’s election with general rejoicing, nor vest high hopes in the fact that he hails from the Brotherhood, which treats the poor as deserving of compassion, alms and charity. What Egypt’s poor want is recognition that they have rights which have been denied them, and that these go beyond occasional charitable handouts. The Brotherhood is well known for distributing food in working-class districts. It does so all year round, but increases the quantity ahead of any elections. Besides, there was little difference between Mursi and Shafiq in terms of their championing of the free-market economy, which invariably puts the poor last. Both strongly support the private sector, whose only concern is businessmen and their bank balances, and for which the poor are merely cheap labor. But what do poor Egyptians think about their new president now that the Brotherhood candidate has won? Evidently, many were strongly influenced by the ferocious anti-Brotherhood media campaign that has been waged in recent weeks by the Supreme Council of the Armed Forces (SCAF). When asked, residents of working class districts of Cairo often said that they expected the Brotherhood to take the country to war against Israel, or force women to wear the hijab or niqab. Others thought it would amputate the hands of thieves, slit the throats of murder suspects, and sentence people to lashings for failing to perform prayers. These were the kind of fears raised about the Brotherhood by the likes of widely-watched talk-show host Tawfiq Okasha, as part of the effort to misrepresent and discredit the Brotherhood and improve the image of SCAF and, subsequently, Shafiq. Few respondents in these neighborhoods thought the new president represented them, and many said neither of the contenders was the kind of president they wanted for the country after the revolution. Many expressed support for Nasserist candidate Hamdeen Sabahi, who came third in the first round and narrowly failed to make it to the run-off. There was widespread dismay in such districts at Sabahi’s defeat, and at being left with a choice between the Brothers and the fuloul. Those who went on to back Shafiq generally did not do so out of admiration for or confidence in him, but dislike of the Muslim Brotherhood. Yet all concur that there is much for the new president to do. Muhammad Ibrahim, a young man from the working class Cairo district of Duweiqa, said he wanted the president to treat poor Egyptians “as though he is one of them,” not as objects of charity but as people with rights. “We wanted a poor president, but elections cost a lot of money for advertising and paying for campaigns,” he said. “Suitable housing and a decent job,” said Hassan Nada, another resident of the neighborhood, when asked what he wanted from the new president. “I wish I had somewhere to sleep without worrying about scorpions and snakes.” Duweiqa, where many people live in barely habitable wood and corrugated iron shacks, has been suffering a major infestation of parasites. Safaa al-Agrouti wanted the new president merely to “be a man and keep his word,” by doing what he said he would in his election program. The demands of Egypt’s poor may be simple, but much political will and focus will have to be mustered if they are to be fulfilled.